I am a huge Star Wars fan. I just got back from Indianapolis where Lucasfilm put on the "Star Wars Celebration", part 3. While there, I was able to meet a ton of star wars celebrities, get some cool toys, watch 10 minutes of Revenge of the Sith, and a lot of other great stuff. 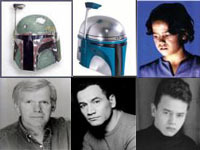 I also asked every actor who has played a "Fett" in a Star Wars movie to do a little intro for my website. 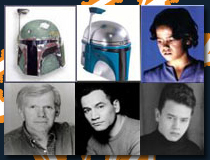 So look to your left and click on one of the Fetts to see what I'm talking about!!!!!!!!!! Wow, Im really jelous. 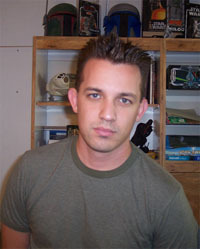 Thats awsome Ricky.